There’s plenty of Halloween family fun going on in South Devon this autumn half term. 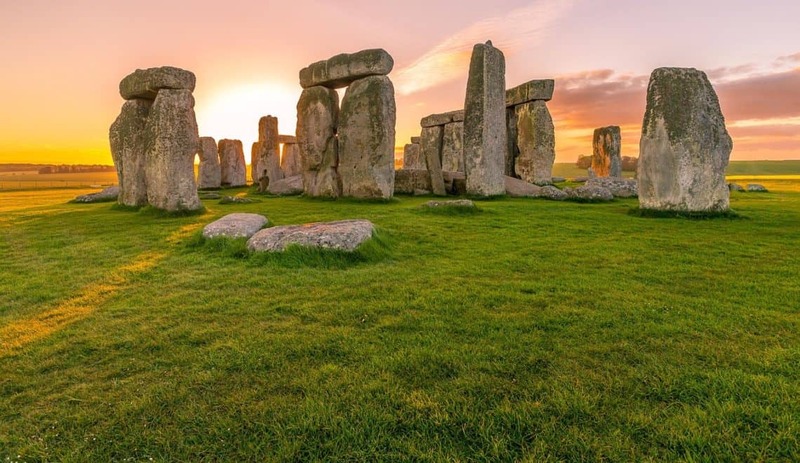 The local tourism bods have put together a long list of activities to keep kids and parents entertained during the holidays so check it out if you’re in the area and in need of inspiration. In 2016 we were invited along to preview one of the recommendations: Marty’s Monster Manor at Woodlands Theme Park between Totnes and Dartmouth. The finishing touches were being applied to Woodland’s interactive Halloween house when I popped along with my two little witches. The Woodlands team had been pulling out all the stops to transform the building which doubles as the Easter Grotto in Spring into an altogether more frightful experience. They’ve even been taking inspiration from Disney to liven things up for visitors, while maintaining a family-friendly feel. Sadly three year old Tin Box Tot decided to sit out our guided tour of Marty’s Monster Manor. But Tin Box Baby braved it with me and wasn’t phased at all by the dimmed lights and spooky music as we wandered through Marty’s kitchen, living room and bedroom. I won’t give away too much about the goulish surprises along the way but there’s so much detail in every room. Sadly my camera wasn’t quite up to taking photos in the low light but we did get a picture with Marty at the end. Around the park’s entrance, Sea Monster Zone and Zoo Farm there were lots of fang-tastic decorations going up in preparation for the park’s other Halloween activities. From 24 to 28 October, Ezmeralda the Wicked Witch of Woodlands will have lots of fun tasks for kids from party dances to broomstick training and a chance to hold a creepy-crawly in the Zoo Farm. Throughout the holiday there will be pumpkin carving, craft workshops and trick or treating. Older kids and adults can freak out at the pirate mirror maze and tunnel of fear. For adults this is a little surreal, but kids love driving their own tractor around the track and watching the eclectic mix of animals pass by. Children are allowed on this ride as long as they can sit unaided. Alternatively they can have a go on the ride on toy tractors (above). A day out at Woodlands wouldn’t be complete without stopping to say hello to these cheeky and intriguing chaps. Look out for feeding time for them and the other animals at the Zoo Farm to really see their characters come alive. Forget the kids, I had such a great time on the water coasters when we visited earlier in the year. Kids have to be over 92cm to go down the three slides which vary from a bumpy but straight run to a winding drop in the dark. Great fun! I was really impressed by the detail of the different buildings in the Toddlers Village Zone, from a school house to a bank with the back blown out of the safe. Tin Box Tot was chattering away about the baddies who must have made off with the gold all the time we were there. The Dino Trek is a walk through attraction with sound affects and animated dinosaurs who hungrily watch you pass by. Tin Box Tot loves spotting the dino eggs in the bushes and pterodactyls in the trees. My two would spend hours on slides and really like the variety of adventure playgrounds at Woodlands. Tin Box Baby at 17 months old is just about starting to navigate her way around some of the larger pieces of equipment by herself and couldn’t get enough of Ninja Towers. This is something we saw in the summer but didn’t have time for last week. I can highly recommend it for the detail you are given about the birds and how close you can get to them. 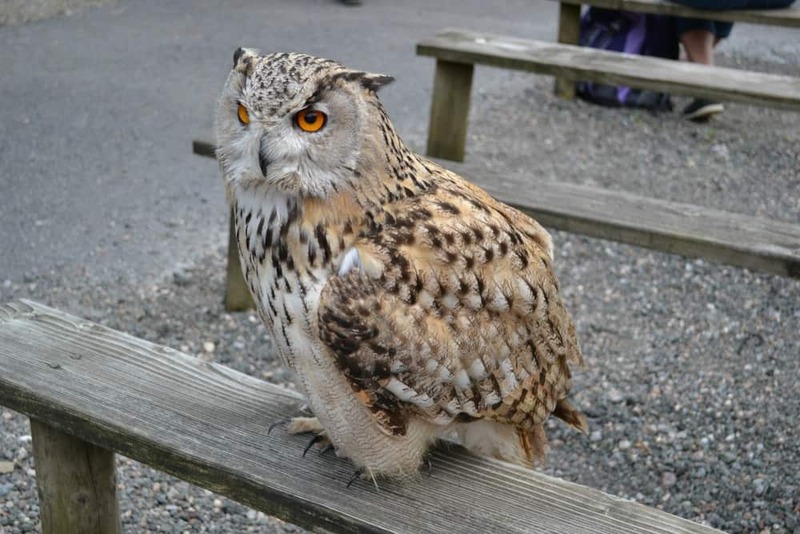 During half term there will be opportunity to see the show and meet the birds each day. Woodlands’ enormous bouncy cushion is quite possibly worth the entrance fee in itself. We visited on a very quiet day and spent half an hour bouncing by ourselves. I can’t guarantee it will be like this at half term! There are also three indoor soft play areas – ideal for colder, wetter days when kids still want to let of steam and parents need to recharge with a coffee. 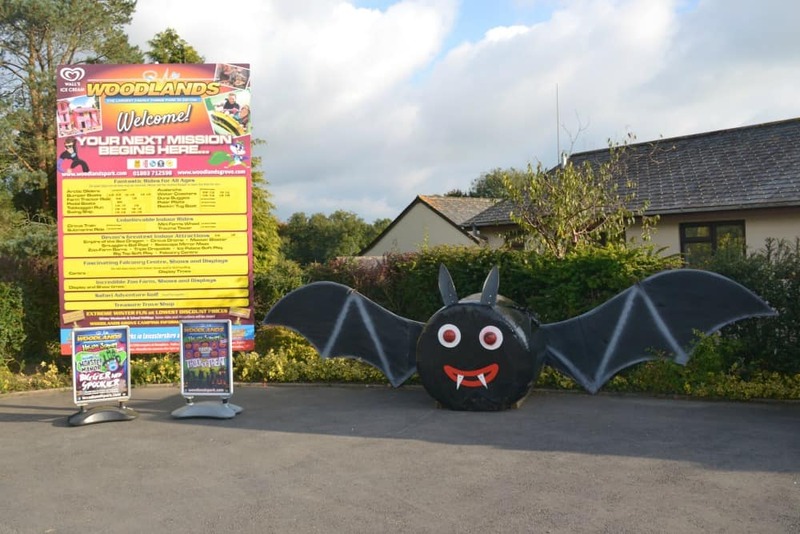 Woodlands Family Theme Park is open for Halloween this October half term. Check out the website for full details and event timings. Disclosure: we were invited guests of Woodlands. All opinions are mine and those of my little witches.